Join us for a night full of dancing to a variety of tropical Latin music, tapas and drinks. DJ SOLO spinning: Cumbia, Salsa, Bachata, Rock en Español, Urbano & Latin Top 40. No cover. Drink & food specials. Join us at The Capitol for a night full of continuous Latin beats to delight all. Join us on this night to get all the information and sign-up for our exciting new Legacy Dance Academy - LDA 'Season 7' dance teams. We are excited to introduce our newest Latin music and dance night at Barrio Restaurant. Plus special dance performances from Legacy Dance Academy. Showing two new dance routines! Join us for Latin Dance Bend’s Holiday Party! Dress to impress! All Ages | No cover. Come out and dance the night away to DJ SOLO’s latest and hottest mix of salsa, bachata, merengue, cumbia and more. Come out and dance the night away to the latest and hottest mix of salsa, bachata, merengue, cumbia and more. Celebrate the dance shared between life and death. Join us for this festive celebration! Come out and dance the night away to the latest and hottest mix of salsa, bachata, merengue and more. Neon Glow in the dark Latin dance party will be one for the books! Get creative with your glow! Some glow sticks will be provided. We are kicking off ‘Hispanic Heritage Month’ with a ‘colors’ party! Represent and show your love for any Latin American Country by rocking the colors of their flag. Join us for this information session in which we will be sharing our plans and details for our upcoming dance 'season 6' with trainning starting on Monday September 10th. Become part of a local dance team, meet a great group of people and have fun while you take your dance to the next level. New to dance, dancers welcome. Join our Latin dance family! Next Dance Season starts September 10th, 2018. We offer a 'ladies' dance team and a 'couples' dance team (partner not required). You will be taught Latin dance choreography, in 1hr per week classes, once the dance routine has been learned, we will provide you with opportunities to perform at local and regional events. There are two seasons per year with two different choreographies. 9 PM to 12 AM - Salsa, Bachata, Mambo, Urbano, Latin Top 40 & Reggaeton. Don't miss the 1st annual RIP City Bachata Festival 2018. Workshops, Performance and Social Dancing all in one weekend. FOR EVENT TICKETS CONTACT ANDY AT INFO@LATINDANCEBEND.COM OR CALL (541) 325-6676. 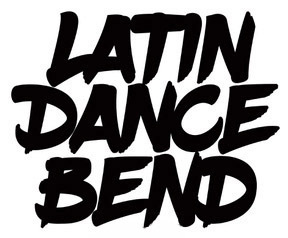 "Celebrating Bachata dance and music"
Latin Dance Bend performing teams new dance routines debut! With guest dance performances from Lines Dance Academy and Iñaki & Deblin from Portland. 1 PM - Bachata for beginners workshop. 2 PM - Bachata Workshop by guest instructors Iñaki & Deblin. 3 PM - Ladies Styling Workshop by Deblin McKnight. A night of Latin Music & Dance at The Dogwood Cocktail Cabin. BACHATA LADIES NIGHT Featuring DJ Pachuco spinning the hottest bachatas and romantic salsas with a mixture of video mix. Free bachata class @ 9 by instructor Inaki Villanueva. Door's open at 8 pm ladies Free all night. Gentlemen $5 at door. Performances by Latin Dance Bend performing teams. Top instructors from around the world. The best workshops, performances and social dances unitl 4:00am!